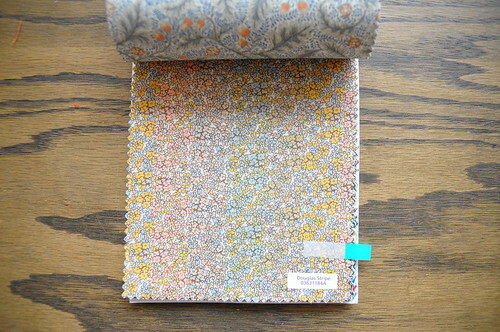 There’s a shipment of Liberty of London fabrics in transit to the workroom. So, of course, I am up late looking at each of these six prints and wondering just what fun things they will become. Mauvey, Kate Ada, Kitty Grace, Ebs, Douglas Stripe and Clemmie – we’re going to have so much fun together! mmm those are some gorgeous prints…I’m fascinated by the bottom three…I’m super drawn to the orange in them! 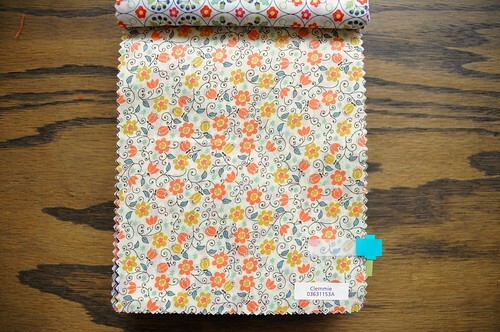 How lucky you are to work with Liberty Fabrics! And I wish I could get a little sampler like you! Have fun with the fabrics! I just made 2 top with Liberty fabrics and I get wait to get some more. I love the last one… can’t wait to see what you make! Wow! Karyn those are fabulous! Great picks! (my favourite is the Mauvey.) 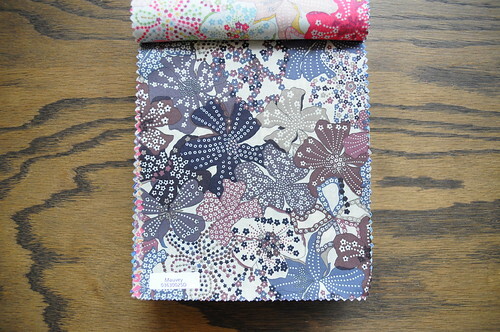 I just bought “Sew Serendipity” (by Kay Whitt) and any/all of these fabrics would be amazing for the patterns!!! Karyn, you take fantastic care of your customers! Oh! Oh! I can already see Mauvey lining a new autumn jacket (made from a pattern this time!). I love the fourth one. 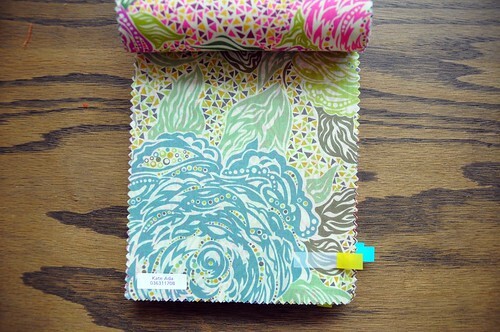 I’m loving Ebs, though I tend to go for the more traditional-looking Liberty prints. I would love to have a top or dress in this fabric! firstly – they ARRIVED!!! and they are so much lovelier on the bolt. i’ll take and post some beauty shots soon. sigh. Amanda – i know, the orange palette totally caught my eye. i tried to be more diverse with my colour selections, but orange won! 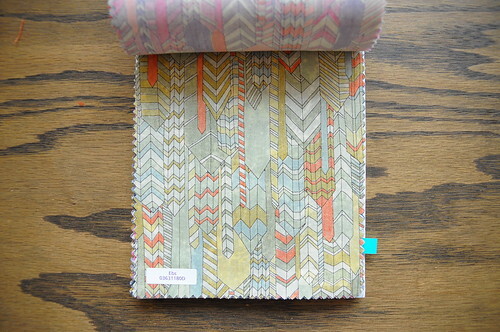 Sylvie – oh, how i wish that sample book was mine. i had to give it back! and liberty is my favourite fabric to wear. it feels amazing! Andree – it’s true, these fabrics inspire. i don’t know which one to start with! Katie – i imagine that last print as a cute blouse of some sort. Kelly – i’ll have to look up that book. 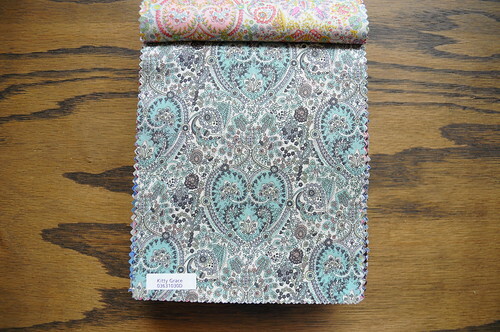 the mauvey fabrics is yummy raisin and grey shades. it would look great on you. carmen – i can’t help it! charlotte – brilliant idea. i used liberty to line a coat before. made me so happy to wear that coat. celine – you have to see it in person. roz was jumping up and down when she saw it. jennifer – ebs, is even better in a large piece. it will definitely be a dress for me. They are all awesome, but Mauvey sings to me the most! The Purl Bee (I think) had a lovely and simple scarf tutorial using a yard and a half of Liberty… sigh.